We have been offering franchises since 1997, and are currently the only optician accredited by the British Franchise Association. A Leightons Franchise offers an exciting opportunity for qualified opticians to own 100% of their business – a highly identifiable business with heritage, market experience and knowhow. 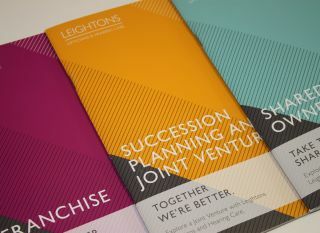 Our method is the glue that makes a business ownership opportunity with Leightons a great value package. Our specially crafted method has adapted and evolved over nearly 90 years and is constantly improving. The other really important component of our franchise success is you. We know that when we get this right, it’s a winning formula. Why not see what our existing franchisees and business partners have to say? We like to reward exceptional performance, which is why there is no limit to the potential earnings. So not only would you own 100% of the business, but would also keep 100% of the profits. A 100% owned franchise means you might have to invest more at the start, but as you work hard to build the success, so too will the enterprise value increase. So when the time comes to consider selling your business, it will be 100% yours. Learn more about the financials or download our Franchise brochure for more detail on how it works. For a private and confidential conversation please contact Lindsay Fairhead or Ryan Leighton by calling our Central Support on 01252 823400, or email [email protected].